Liverpool are looking to land the most lucrative kit deal in the club’s history, according to reports on Wednesday. 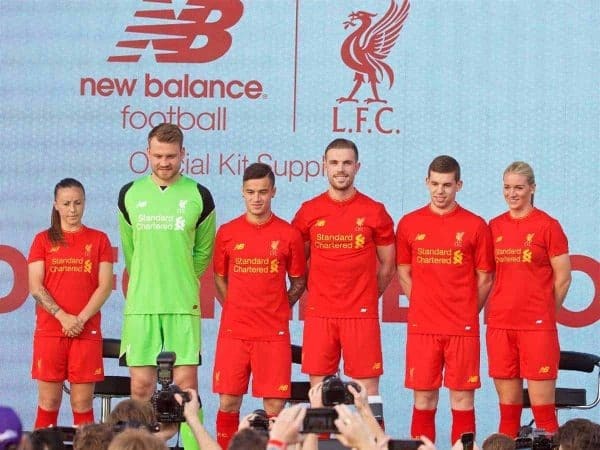 The Reds’ current contract with New Balance expires at the end of next season, following a hugely successful spell as kit sponsor since 2015/16. Recent weeks have seen numerous reports on discussions for a new deal, either continuing with New Balance or with a new kit manufacturer. “We are in conversation with New Balance and we are in conversation with others as well,” Hogan explained. Liverpool’s current deal with Boston-based New Balance allows the club greater flexibility to profit from merchandise than with other larger manufacturers such as Nike and Adidas. 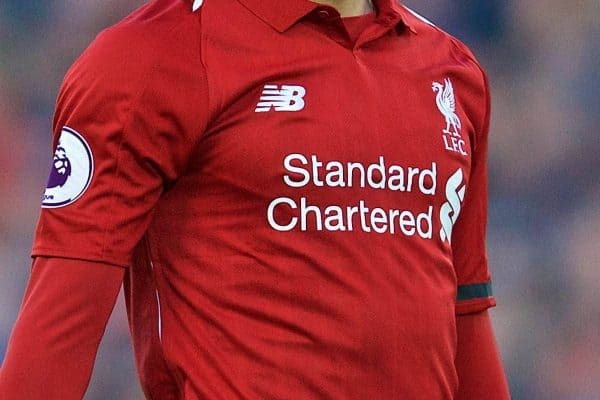 So while some supporters clamour for kits to be produced by such headline-manufacturers, it’s worth noting that New Balance offer Liverpool more favourable terms and also work closely with the club to produce unique designs, as opposed to Nike who quite regularly produce the same style kit for numerous clubs. Liverpool currently earn £45 million a year with New Balance, but the club want to rival the £75 million annual sum Man United receive from Adidas, as they continue to make giant strides both on and off the pitch. This is an exciting time to be a Liverpool supporter, with the club excelling in all facets of its day-to-day business. While on-pitch matters will always take precedence, it is impossible not to feel encouraged by what is happening away from the action – which then enables the club to grow on the pitch. 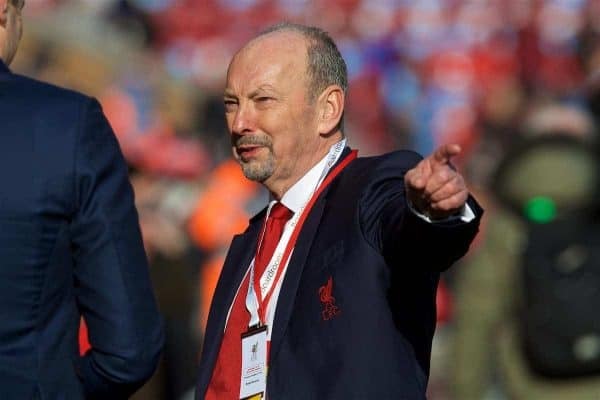 As chief executive Peter Moore explained in an interview with This Is Anfield, revenue growth off the pitch enables funding for Jurgen Klopp and sporting director Michael Edwards. “We’ve got to drive revenue and catch up with some football clubs,” explained Moore. “So we can continue to invest on the football pitch. More recently, Moore had also confirmed what Hogan has said this week, that the club are “entertaining offers” from kit suppliers as they prepare for the end of the deal in 2020. “It’s an important part of our overall commercial makeup, not only for the revenue it brings, but live-and-die soccer fans [care] about their kit manufacturer and designs as part of how they show themselves as fans,” he explained.